The moment you realize you need a new app for your Mac can be a moment of dread. Unless you know exactly what you’re looking for, your app quest usually takes you to the Mac App Store, which can kick off a lengthy process of searching various options, reading reviews and assessing prices. Before you know it, you’ve invested an hour and you’re still mostly guessing whether the app you finally chose will actually do the job or not. Setapp takes the guesswork out of choosing an app — and right now, you can get a full year of their premium app curating service for $69, almost half off its regular price from TNW Deals. Setapp was created by the folks behind the popular CleanMyMac app as a trusted one-stop location to always find the right app for the right job. When you get started, Setapp gives you access to over 100 curated apps, all categorized for easy searching. You can browse choices in areas like productivity, video, utilities, graphic design and more. You’ve got access to full app descriptions and you can even preview the app, instantly launching it on your Mac so you can check it out for yourself. Of course, Setapp’s major selling point is that every app in their arsenal is carefully chosen, meaning you don’t have to sift through poor performing junk apps. Setapp is based around the quality over quantity philosophy, which ends up being a huge timesaver for subscribers. 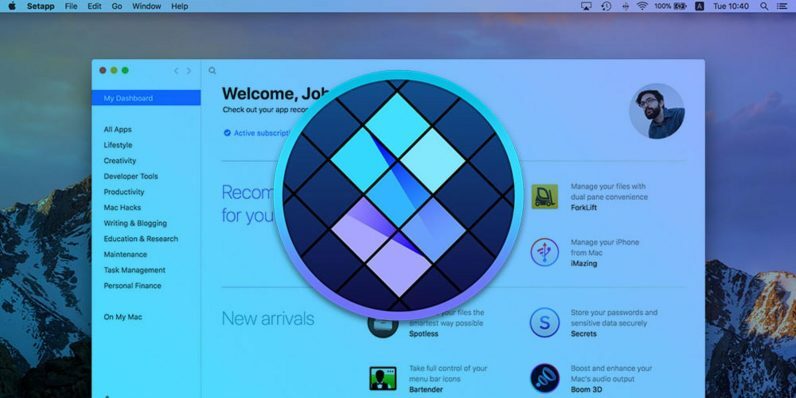 TNW first spotlighted Setapp back in 2016 and with their constantly growing library of app options, they’re continuing their play to be the go-to location for app downloads for MacOS users.